I recently received a copy of a new game called Dead Drop that I think may be interesting to Werewolf fans. It’s a card game — a very small on on the scale of Love Letter — that involves a good bit of deductive ability. Much like Werewolf, it’s theoretically just guesswork, but actually involves a good bit of reading the other player’s actions and intent. 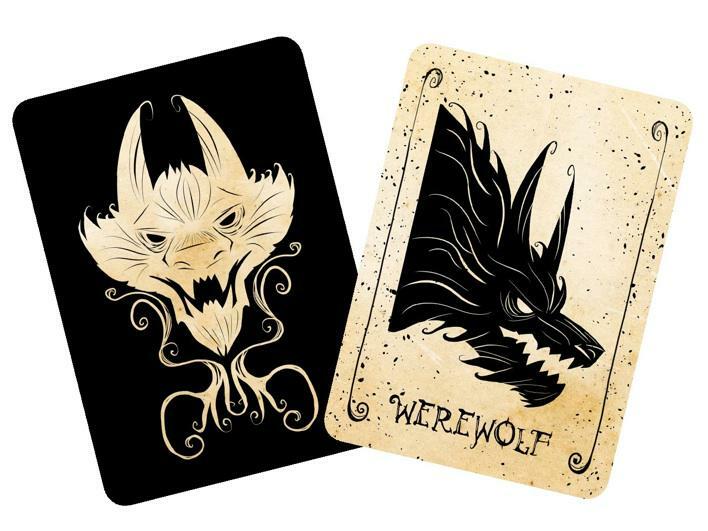 Unlike, Werewolf, it’s small game for two to four players. The rounds are quick, so a game length can be adjusted simply by modifying how many points it takes to win. The setup is much like Clue: a card is placed face down, and a round involves trying to deduce what that card is. Through various means you swap information with other players — either by straight out exchanging cards or by secretly inquiring what they have in their hand. At some point you try to pick up the “Drop” card by declaring what it is — you’re either right, and pick up a point, or wrong and are out of the round. It’s a lot of fun for three or four players. (technically can be played by two, but it’s not as good.) This is exactly the type of game I’ll pull out when we’re waiting to gather enough players for Werewolf! I received this through Kickstarter, so it may not be in stores yet; but keep an eye out for it.